Kelso North Church is an impressive building, and an instantly recognisable landmark. 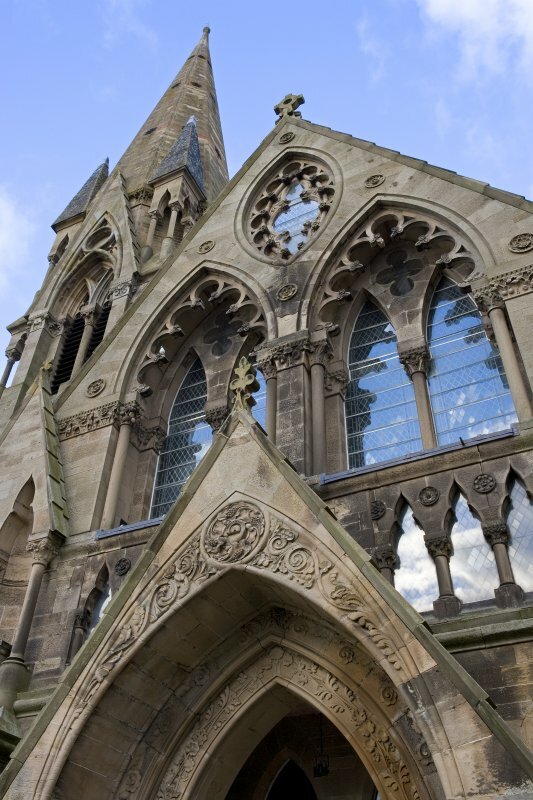 The building dates to 1867, and was designed by Frederick T. Pilkington who was also the architect of Barclay Church in Edinburgh. 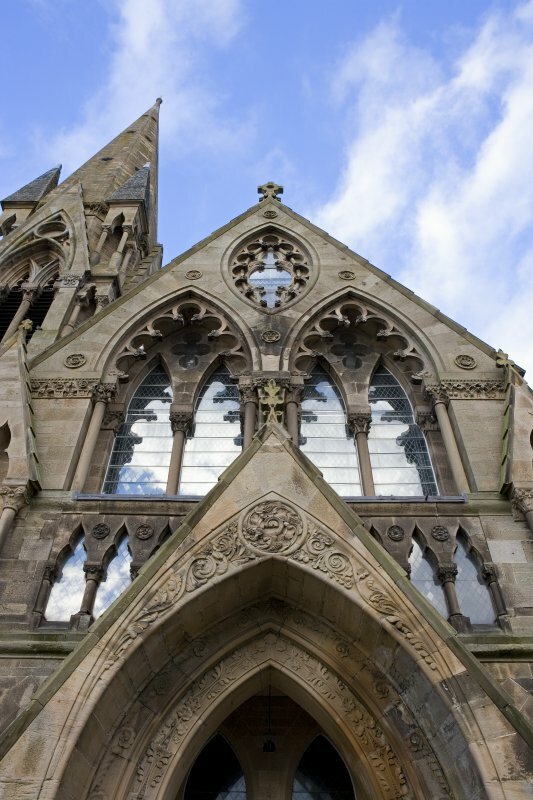 The idiosyncratic Gothic architecture is characteristic of Pilkington's work. Entry is by a richly-ornamented arched porch projecting from the steeply gabled western end of the church. Above the porch are two tall arched windows which illuminate the interior of the church, and feature ornate decorative stonework around their edges. The massive steeple is visible throughout Kelso. At the Disruption of 1843 the new Free Church congregation of Kelso used what had been a Church of Scotland building for worship. 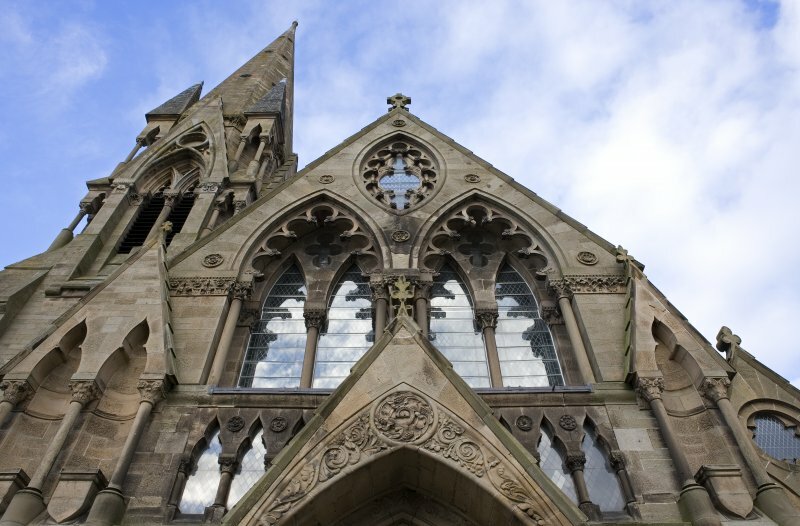 However, in 1864 the Church of Scotland successfully claimed the building as their own following lengthy legal proceedings, and the construction of this church followed. It is now known as Kelso North and Ednam Parish Church.